It’s a little-known secret: growing fall tomatoes can extend your tomato harvest until the first frost. Here’s the dirt on planting a second set of plants in midsummer to produce healthy, tasty fruit for weeks or even months into fall. 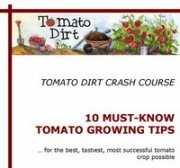 Newly-planted tomato seedlings must survive the hottest weeks of the summer. Make sure they have strong root systems before setting them in the garden or container so they have the best opportunity to thrive. Take cuttings from suckers or "clone" existing plants early enough in the season to allow new seedlings plenty of time to develop strong roots. Success with growing fall tomatoes depends on smart timing with a dash of good luck thrown in. Conventional wisdom says to determine a fall tomato planting window by counting back 60-85 days from your area's first frost date. Plant early enough so that your variety has plenty of time to put out fruit before frost with at least 3-4 weeks padding to allow fruit plenty of time to mature. For example, assume the first frost date in your region is October 31. Simple math tells you to set plants in the ground no later than early to mid-August. Another way to choose a planting window is to study local daily average temperatures. Time your planting so that plants have flowers when temperatures are cool enough to allow pollination. Optimum daytime temperature range for tomatoes to set fruit is between 70º-85ºF, with night time temperatures consistently between 55º-75ºF. Estimated first frost date is exactly that – an estimate. Sometimes a cold autumn and early frost alter the best gardener’s plans. Tomatoes can’t survive a frost. So even if you plan well, your fall tomato crop may be cut short by Jack Frost’s early arrival. On the other hand, the reverse can be true also – the first frost date may come a couple of weeks after projected, and you may be enjoying fresh tomatoes at Thanksgiving or into December. A successful fall tomato crop means planting during the heat of the summer. Seedlings need daily, deep watering during the first 7-14 days in order to get established. Thereafter place them on a regular watering schedule to ward off tomato problems and diseases. New plants can grow quickly in the heat. Fall tomatoes are planted mid-summer. They are on the receiving end of the season’s strongest heat and most intense afternoon sun. Here are some ways you can provide some relief. Set up a screen on plants’ south and west sides with purchased row cover or shade cloth. Or, create a shade tunnel with inserted stakes or PVC pipe and row cover. Try low-tech, low-cost shading with bath towels, old sheets, or drop cloths. Clip coverings to west and south sides of tomato cages or drape them over tomato stakes. Recycle old window screens. Set them on the south and west sides of tomatoes. Set a folding lawn chair over newly-planted tomato seedlings during the hottest part of the afternoon. 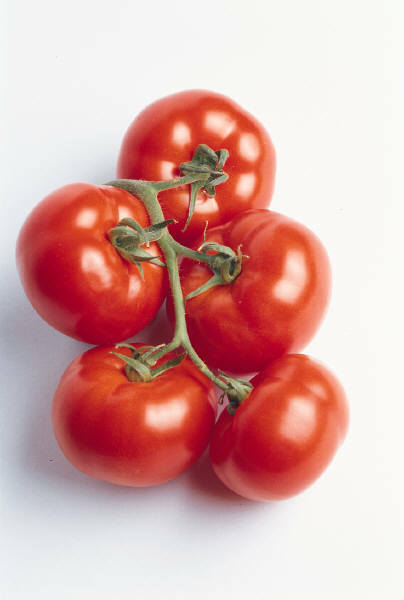 Plant tomatoes in large containers, placed in full morning sun with afternoon shade. In a couple of weeks when the heat of the summer passes and plants are strong, transfer them to the home garden or move containers to full sun.